A wife searches for her estranged husband when he flees after witnessing a murder. 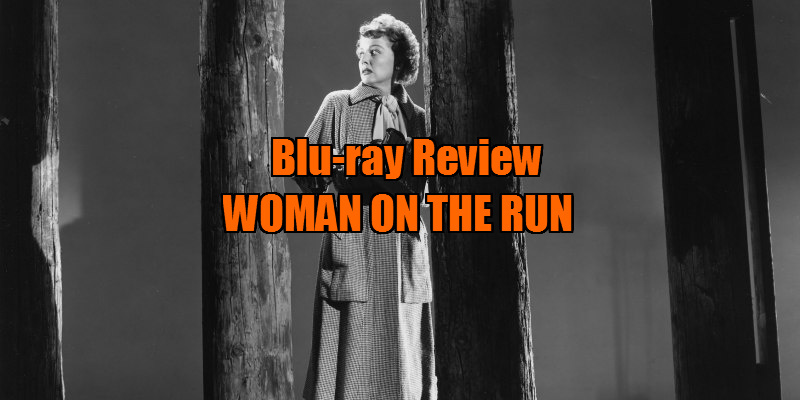 While Woman on the Run ticks enough film noir boxes - shadowy inner city locales, a 'tough broad', mysterious men in overcoats - it stands out from the crowd by just how comedic it is. The dialogue by Ross Hunter is some of the wittiest you'll find in noir, and Sheridan is the perfect vessel for this particular brand of snark. Arriving in parallel with Too Late for Tears is Arrow Video's blu-ray of another 'lost' film noir, newly restored against all the odds. 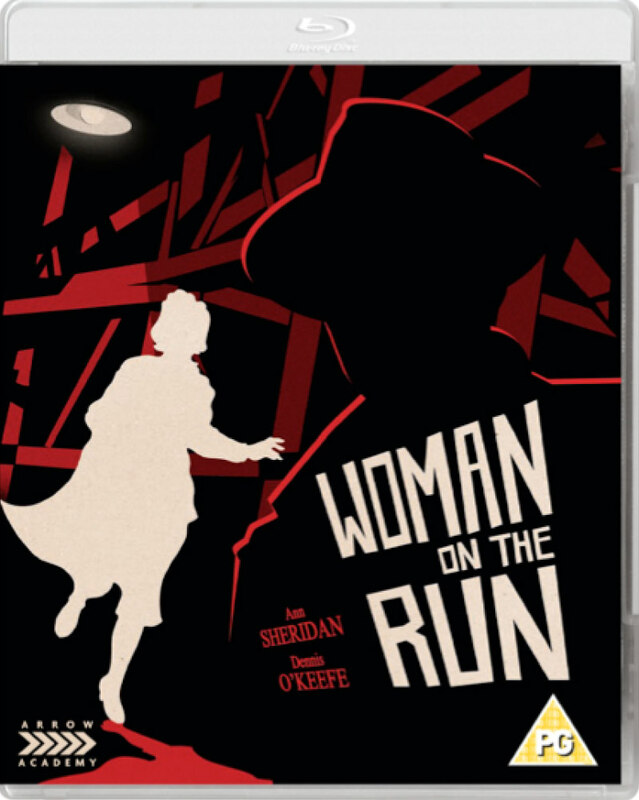 The only existing American print of director Norman Foster's Woman on the Run was destroyed in a 2008 fire at Universal Studios, but luckily noir buff extraordinaire Eddie Muller had previously made a digital copy, a unique case of piracy working in a movie's favour. Combining this with a print from the British Film Institute, the movie has been lovingly restored to its former glory. Woman on the Run's title is somewhat deceptive, as it's really the story of a man evading capture. After witnessing a mob related murder, Frank (Ross Elliott) decides his best chance of self preservation is to disappear into the Bay Area night rather than take his chances relying on police protection. 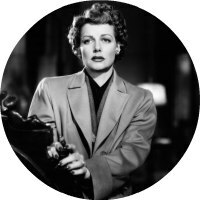 Inspector Ferris (Robert Keith) is none too happy with this member of the public's failure to aid his investigation, and notifies Frank's wife, Eleanor (Ann Sheridan), of her hubby's disappearance. Surprisingly, she's not the least bit upset; seems the marriage was on its last legs and Eleanor assumes Frank took this as an opportunity to finally run out on her. Out of what seems like stubborn pride, Eleanor decides to elude the police and track down Frank herself. Accompanying Eleanor is reporter Daniel (Dennis O'Keefe), a classic fast-talking 'newspaper man' of the era. Try as she might, Eleanor fails to shake off the unwanted attention of Daniel, but ultimately decides his investigative skills may make him a useful ally. But is Daniel everything he claims to be? Think of Hitchcock's early British chase films like The 39 Steps and Young & Innocent, minus the standout visual set-pieces but with the addition of the sort of rapid fire, witty dialogue American screenwriters of the 1940s excelled in, and you'll have some idea of what to expect from this lesser known film noir. That's a vastly encompassing genre, and while Woman on the Run ticks enough boxes - shadowy inner city locales, a 'tough broad', mysterious men in overcoats - it stands out from the crowd by just how comedic it is. The dialogue by Ross Hunter is some of the wittiest you'll find in noir, and Sheridan is the perfect vessel for this particular brand of snark. As Eleanor searches for her husband, she discovers aspects of his character she had long forgotten, and hearing his friends and associates declare their affection for Frank causes her to reevaluate her attitude towards their relationship. Eleanor's initially tough facade drops, and a character we assumed to be a femme fatale type becomes the film's hero in a nicely handled narrative that plays as fresh in 2016 as it must have in 1950. The location shooting gives us a gritty view of San Francisco closer to that seen in the Dirty Harry films than the classy, colourful Bay Area of Vertigo. Cinematographer Hal Mohr renders the city in lush monochrome, and director Norman Foster keeps things moving energetically with tracking shots and Dutch angles betraying his past as a protege of Orson Welles. A climactic set-piece at a carnival is a little underwhelming and feels like a second rate version of similar sequences in better thrillers, but this movie is all about the chase, and it's well worth catching up with Woman on the Run in its newly restored presentation. As with Arrow's blu of Too Late for Tears, there's a focus on the quest to restore the film, detailed in the accompanying booklet and a short featurette. There's also a featurette on the making of the film, one on the film's locations, and a short documentary on San Francisco's enviable Noir City Film Festival. Noir expert Eddie Muller provides a commentaryand there's a gallery of rare promotional materials.